Craving French Fries? 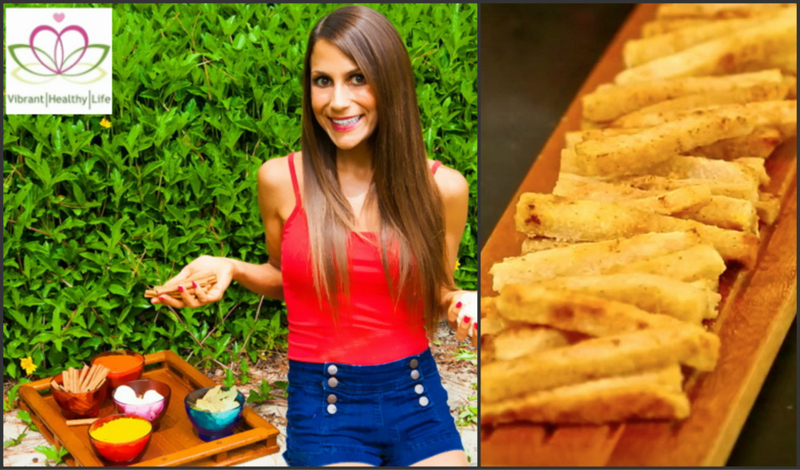 Instead of classic French fries make Jicama French fries. Jicama is a root vegetable from the bean family in Mexico and a fantastic skin clearing healthy carbohydrate. Jicama is a great source of magnesium. Magnesium has a calming effect on the body, helps increase energy levels and is great for your skin. The mineral magnesium slows down the aging process, which will give your skin an overall smoother tone. Jicama also has plant protein, which will help stabilize your blood sugar levels and reduce cravings; you will find that you are full for a longer amount of time and have lasting energy. Classic French fries are loaded with simple sugars, which will make you hungrier twenty minutes later as well as make you crave more processed junk foods. That is why it is so hard to only have a couple of French fries. Peel the jicama, slice up and bake in the oven with a dash of cooking spray and spices of your choice for twenty minutes! That is it. Check out my simple video tutorial on how to make them here. Craving Pasta? Make a squash pasta instead! Simply use a vegetable grater or spiralizer to create noodles from zucchini or yellow squash. Check out my simple video tutorial here. Why am I a huge fan of zucchini? Zucchini is loaded with vitamin C and vitamin A two of my favorite skin clearing vitamins. Vitamin A is great for removing dark circles and bags under your eyes. Vitamin C is fantastic for fine lines and wrinkles. Not to mention a great source of potassium. 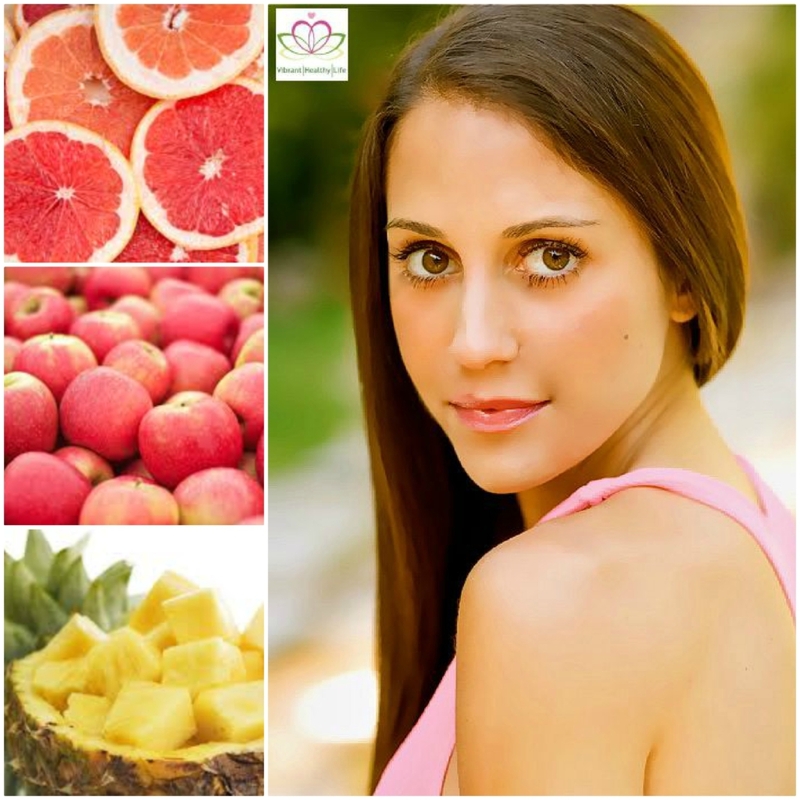 This energizing healthy carbohydrate will help curb unhealthy cravings and just make you glow. Top off the dish with my simple stress reducing avocado sauce. Take three tablespoons of avocado and mix with freshly squeezed lemon. Lemon is a great detox food due to the balancing effect it has on the body. Avocado is a great source of potassium (it has more potassium than a banana) and vitamin E. Vitamin E does wonders for fine lines and those pesky crows feet around your eyes. As you may already know, I am a huge fan of healthy fats, especially amazing avocado. For more of my simple Eat Yourself Gorgeous recipes with healthy fat try my zesty lemon mash or my avocado chocolate mint shake. Craving Ice Cream? Go for a blended frozen banana with Stevia (an all natural sweetener that does not spike your blood sugar levels). Do not judge this swap before you try it. Bananas are one of my favorite de-bloating foods due to the potassium content. Potassium flushes the body of excessive toxins and waste. Bananas also are loaded with fiber, which will keep you more full for a longer amount of time and contain a variety of B-vitamins. B-vitamins are great for stress relief and energy levels. Not to mention, bananas help stimulate the production of serotonin (the feel good hormone in the brain). They also improve the body’s ability to absorb calcium, which is great for bone health. Check out my video tutorial on how to make this healthy soft serve ice cream alternative here. I have included techniques on how to create different flavors based on your mood. *A cause that is very dear to my heart is the National Multiple Sclerosis Society. I have formed a team in honor of my grandmother, Dr. Lailee Bakhtiar, who passed away after a 21 year battle with the disease. You can learn more about my team here. Life is too short for deprivation. You should be able to have your cake and eat it to. In this case, have your shake and drink it too. It is quite simple really. When you start eating better, you start feeling better. I put together the perfect energizing breakfast blend or 3PM pick me up to prevent hanger and overeating later on. I have used my favorite ingredients in the shake specifically to keep you more full for a longer amount of time, give you lasting energy without the crash and curb unhealthy cravings. Not to mention, reduce stress, increase feel good hormones AND get your skin glowing (you can check out my most recent television appearance for more smart snacking options in the video section of my site). Yes, it all sounds too good to be true. Try it and then let me know how you feel. 1 tablespoon of unsweetened cacoa powder (Trader Joe’s brand is great) or 1 tablespoon of dark chocolate chips (I love Lily’s). Blend together and enjoy. Everyone is different. If you like a sweeter flavor then go for the frozen banana instead of the Greek yogurt. If the cacoa powder is too strong for you then try dark chocolate chips. Make sure the cacoa powder is non-processed to get the best health benefits. (More information and dark chocolate health tools can be found in my piece here.) Get creative and find a healthy formula that is realistic, tastes good and works for you. Quick tip: if you are on the run or at work (because that is life) simply do a little planning in advance. Blend together the night before and put your shake in a container for the next morning. It will take ten minutes tops. Just like any muscle, the more you practice planning the easier it gets. My tips on how to be healthy at your desk were recently featured in The Huffington Post, you can find them here. INDULGE & GO DARK! Dark Chocolate triggers the release of “feel good” hormones in your brain. The same “feel good” hormones that get released after you do physical activity or when you are falling in love. For more health benefits of dark chocolate and two of my easy “no brainer” recipes check out my piece here or my Creamy Dark Chocolate Ice Cream video tutorial here. If you are a fan of mud muffins you can check out my healthy dark chocolate mud muffin recipe featured in Entrepreneur Magazine. Greek Yogurt has double the amount of protein than normal yogurt, healthy bacteria for digestion as well as immunity and calcium for bone health. Check out my energizing ranch dip video here using Greek Yogurt or my Stress Reducing Avocado Pasta video here. AMAZING AVOCADO (I am a huge fan of healthy fats)! Avocados are packed with heart healthy monounsaturated fats. These fats have been proven to reduce stress as well as increase post-meal satisfaction levels. Moreover, avocados contain plant protein to keep you more full for a longer amount of time, give you lasting energy and curb unhealthy cravings. Avocados also contain Vitamin-E. Vitamin-E fights off damaging free radicals that contribute to aging. Vitamin-E also gives your skin an overall smoother tone, which will help reduce fine lines and those pesky crows feet around your eyes. Need some skin clearing snacks? Check out my Satisfying Beauty Bites here, or Skin Clearing French Fry Video Tutorial here. As always, focus on progress, not perfection and DO YOU. Focus on your goals, instead of comparing yourself to others because that is all that matters. Here are some tools for your mind and body to celebrate the month of love in a heart healthy way. 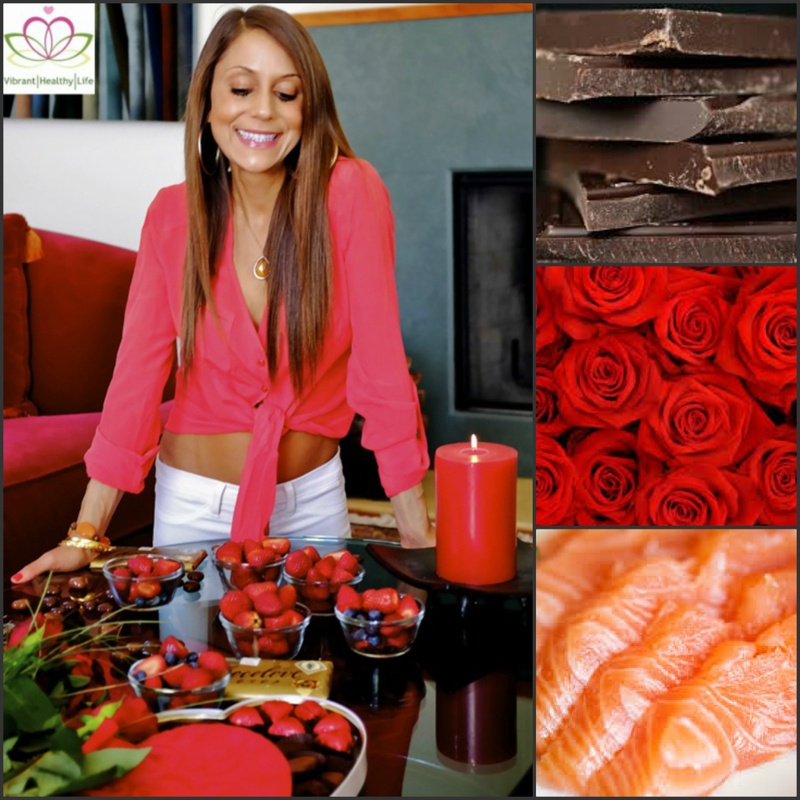 From divine dark treats (my warm dark chocolate cinnamon banana bites) to eating out made easy, and the heart healthy benefits of sassy salmon – I have you covered in my step-by-step guide. Go Dark. Chocolate and the day of love go hand in hand. Deprivation is no fun and leads to the deadly combination of hanger. Not to mention, it is no way to live life. You also will end up overeating then repeating an unhealthy cycle. Instead, I always advise my clients to GO dark and indulge in dark chocolate. Select Wisely. Many labels advertise “healthy dark chocolate” but really are loaded with processed sugars (defeating the purpose of going dark). Make sure the chocolate is made with a minimum of 70% pure cocoa and read the back of the label. Try to get as real as possible with little added ingredients. I always carry a square or two in my purse whenever I need a 3PM pick me up or post dinner treat (Lily’s Brand is a great choice). Around two to three squares (1/2-1 ounce) is a good snack size. Below are some of the beautiful benefits of going dark and my Simple Warm Cinnamon Chocolate Banana Bites. Feel good. Dark Chocolate triggers the release of “feel good” hormones in your brain. The same “feel good” hormones that get released after you do physical activity or when you are falling in love. Control Cravings. This delicious delight does not spike your blood sugar levels. What does that mean? You will have more stable energy levels throughout the day, and not have that sudden crash you normally get with other candy. Most candies contain tons of sugars and hidden preservatives that make it very hard to tell when you are actually full. So you just keep munching and suddenly the bag is empty! Focus. Dark chocolate increases blood flow to the heart and brain improving your thought processing abilities. Brain food! Carina’s Simple Dark Chocolate Cinnamon Banana Bites: melt ½ ounce of dark chocolate in a saucepan for around thirty seconds to a liquid texture of your liking. Place half of a small sliced banana in another pan with all natural cooking spray and heat on the stove for around ten-fifteen seconds until the top of the banana slices are a light golden brown. Always spice up your life! Add cinnamon or nutmeg (for more health benefits of spices read my piece here) and if you like things sweet add a dash (1/2 tablespoon) of stevia (an all natural sweetener from the stevia leaf). Drizzle the melted dark chocolate over the warm banana slices and enjoy! Craving more dark chocolate? Check out two more of my “no brainer” dark chocolate recipes here (that take less than ten minutes to make) and my dark chocolate mud muffin recipe featured in Entrepreneur Magazine. If you are a fan of ice cream you can watch my Dark Chocolate Ice Cream Video Tutorial here. Sass it up with salmon: salmon is high in omega-3 fatty acids, a healthy fat that the body does not produce on its own. Omega-3 fatty acids decrease the risk of heart disease, irregular heartbeats and help lower blood pressure levels. These healthy fats also increase your ability to focus and improve your mood. For a healthy side dish to go with the salmon check out my Avocado Zucchini Pasta Video Tutorial here. If you are eating out, the best way to order salmon (wild caught) is steamed or poached to retain all the nutrients. Be brave and branch out…by staying in. Instead of going out to an extravagant dinner with your significant other or group of friends plan to cook a meal at home. Home cooked meals are much healthier than eating out and getting comfortable in the kitchen is a great bonding activity. Cooking may seem draining or daunting at first but just like using a muscle that you have not used, it will get stronger and easier with time. Check out my Eat Yourself Gorgeous Meal Makeover Videos here for a library of simple recipes. Mind. Valentine’s day is a day of love. Show yourself and your loved ones how much you truly care by taking a step to make health a priority. Even if it is a small change, everything counts. If you are feeling alone on Valentine’s Day treat yourself to a delicious healthy meal, massage or activity that YOU enjoy. Indulge and invest in yourself. Once you start focusing on your own health (mentally and physically) the right people will fill your life. Everything happens for a reason. Trust the process. Remember to have compassion for yourself, always. Game day is right around the corner! Here is my quick and easy client guide for a balanced, healthy Super Bowl Sunday. Yes, it is possible. Mental Preparation: When you are hungry your brain is looking for a quick fix to give you energy and you automatically will be attracted to the worst possible food choices. Do not starve yourself all day and then plan on pigging out. Have a smart snack or filling balanced meal before. My three ingredient Southwestern Salsa Scramble recipe was recently featured in Entrepreneur Magazine and is a great, quick option that combines protein and healthy fat. It also takes less then five minutes to make. Cha-Cha Chip Time! Healthier options are whole-wheat pita chips, pop chips or air-popped popcorn (for more tips on The Truth About Carbs you can check out my piece here). Baked chips are better than classic potato chips. Why? The hidden preservatives, and addictive ingredients in classic potato chips are what make you want to keep munching (because they spike your blood sugar levels) and make you crave more junk food. Two of my favorite healthy brands (without compromising taste) are Beanitos and Corazonas. You can find these at any local grocery store. They are much more nutritious and delicious than your classic potato chips and will keep your blood sugar levels stable which will keep you more full and satisfied for a longer amount of time. Bottom Line: when selecting baked chip brands look for chips with the least amount of processed ingredients. Below is my Simple Sweet Potato Chip recipe that takes ten minutes to make. If you like this recipe check out my Skin Clearing French Fry Video Tutorial here. Carina’s Simple Sweet Potato Chips: chop a medium or large sweet potato into thin slices, add some spices of your choice (cinnamon is great for sweet and cayenne pepper is great for spicy. For different spice options along with their various health benefits check out my old piece here.) Use an all natural cooking spray, place on a baking tray and toss into the oven for ten-fifteen minutes or until the top is a golden brown. Do not be intimidated by cooking. It can be simple, easy and stress free. But only partake if you are in the mood. Sweet potatoes are one of my favorite healthy carbohydrates and skin superfoods. They are loaded with fiber to keep you more full for a longer amount of time, vitamin C, vitamin A, potassium, and magnesium. Not to mention, beta-carotene, a cancer fighting antioxidant. Vitamin A is fantastic for the bags and dark circles under your eyes. Vitamin C will give your skin a young, fresh glow and is a great immune system booster. Chips that will clear skin, reduce cravings and taste divine in under fifteen minutes? YES PLEASE. Divine Dips! Get Saucy with Salsa. Salsa and hummus are great, healthy options. Go for these instead of the artichoke dip, or crazy cheese dips. Sweet potato chips with salsa are one of my favorite combinations. Do not fall for the hidden salsa trap. Most store brand salsa is loaded with excessive sugars and preservatives. This actually will make you much hungrier and harder to control your eating (you are going to keep wanting more and more.) If you are not in the mood to dice up your own healthy salsa (onions, cilantro, lime and tomatoes) simply make sure there are no added ingredients in your salsa and you buy real, all natural and non-processed (all you have to do is make sure you can read the ingredients on the label.) Salsa contains capsaicin, the chemical responsible for spiciness. It stimulates digestion and in various studies has been shown to aid in the prevention of stomach ulcers. Capsaicin also helps activate the release of endorphins (the feel good hormone) in the body. Holy Moly Guacamole! Avocados have incredible health benefits. These guys are loaded with heart healthy fats that help decrease stress and anxiety. They also are a good source of vegetarian protein, have more potassium than a banana and great for banishing blemishes due to the high vitamin content. Remember to keep it simple, there is no need for excessive ingredients (fresh lemon or lime, avocado and a dash of salt-pepper.) It is very easy to get guacamole happy as well. Make sure you eat this divine side in moderation. 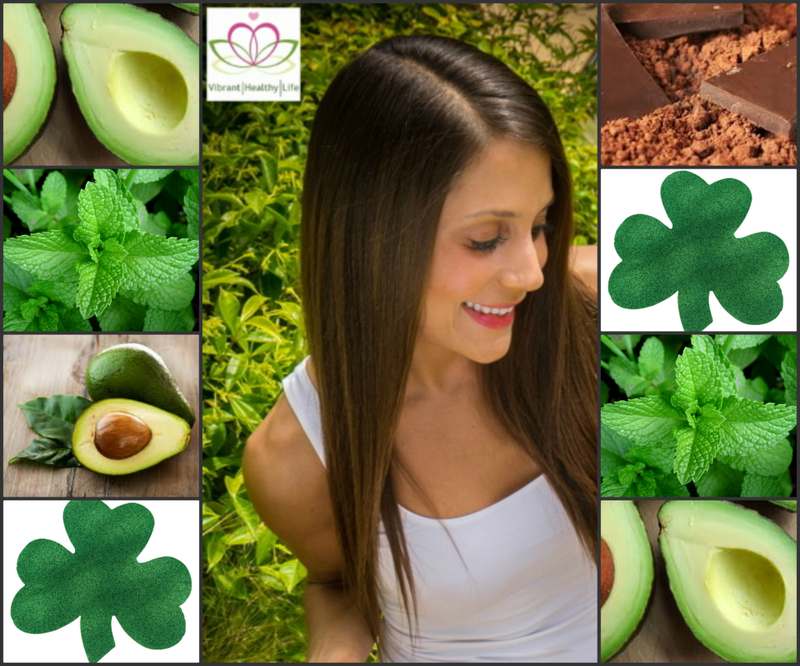 For another healthy avocado recipe try my Avocado Dark Chocolate Shake recipe here or my Zesty Lemon Mash recipe here. Beer? Here are the best tasting light beers according to a recent survey in Men’s Health: Adams Light, Heineken Premium Light, Amstel Light, Kirin Ichiban Light and Bud Light. I always remind clients to be mindful of their portions. Try not to eat directly from the buffet, kitchen fridge, bag or box. It is very easy to get lost in the game and mindlessly munch on what is directly in front of you. Take a plate and put a reasonable amount on your plate. Remember what you are doing: watching the game and hanging with family or friends (not just consuming ridiculous amounts of food). Live your life and enjoy yourself while being healthy. As always, focus on progress, not perfection and have compassion for yourself. The holidays are about memories, moments and fun. 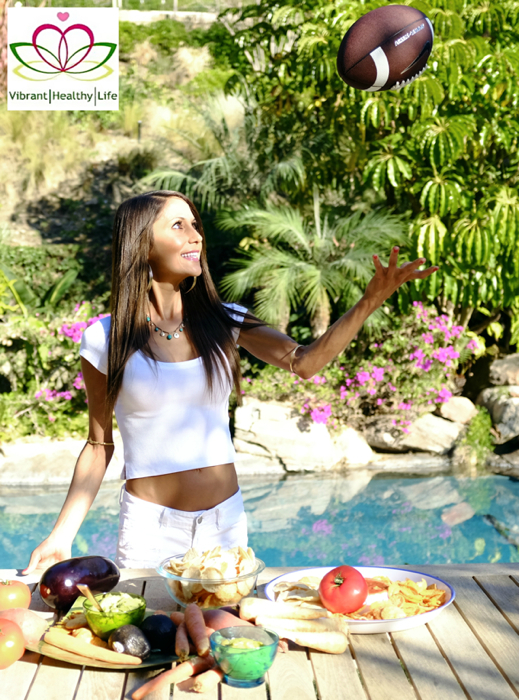 There is no time for feeling deprived or guilty about food choices (that also is not the answer to a happy life). Below are my simple tools so you can enjoy the holiday season without the guilt. Remember, nobody is perfect and everyone is different. Set realistic goals to stay on track so you can truly enjoy this holiday season and start the new year with confidence. Never go to a party starving. Often times when we are stressed out, tired or cranky it is because we are eating sugary packed junk foods and unhealthy sweets with preservatives. These foods make us crave more unhealthy foods and mess with the hormones that regulate the stress response within the body. By nourishing your body with nutrient dense foods and always having a healthy snack, you will have increased energy, a calmer demeanor and be less likely to lose control at the holiday buffet. One of my favorite snacks that I always suggest to clients this time of year is organic canned pumpkin mixed with plain all natural Greek yogurt, stevia and cinnamon. This is a great combination of a healthy carbohydrate (from the pumpkin) and protein from the Greek yogurt. I call it my special “bliss in a cup” energizing snack. It is quick, easy to make and leaves me feeling like I just ate a slice of pumpkin pie. Moreover, the fiber in the pumpkin is great for your digestive system especially during the Holidays. Watch my video tutorial on how to make it here. Eat real food before you reach for the sugary sweets. Fill up on protein before you head to the dessert table. Protein will help stabilize your blood sugar levels and keep you more full and satisfied for a longer amount of time. By eating protein you will reduce your cravings for junk food. One of my favorite protein appetizer options is shrimp, which you can find at most holiday parties (if not, be a great guest and bring a healthy appetizer). If you are vegetarian, hummus is normally a party platter favorite and a good source of protein as well as healthy fat. Indulge in a balanced way. If you are craving a serving of pie have a reasonable portion but do not eat three servings. Do you notice how the first serving of an amazing food tastes the best? The food is not as good the second or third time around. This will prevent you from feeling deprived and then overeating later on. Volunteer to bring a healthy side to your next holiday party. Not only are you a great guest because you are contributing to the party (the host will love you) but you can ensure that there is something delicious AND healthy for you to eat. Bringing a healthy side does not have to be complicated or overwhelming. Check out my library of Eat Yourself Gorgeous video tutorials from Garlic Cauliflower Mashed Potatoes to Skin Clearing Spaghetti Squash here. All take less than ten minutes to make. If you are a dark chocolate fan, you can find two of my “no-brainer” dark chocolate recipes here and my dark chocolate mud muffin recipe recently featured in Entrepreneur Magazine here. Be mindful of your environment. It is very easy to overeat when everyone around you is overeating as well. Always have a plan. If you know you are going to be around a group of people that overindulge all the time, have a plan going into the situation. Make it clear what you are going to indulge in, what you are going to pass on and other activities you are going to focus on (schedule a family game of cards or talk to that uncle who you have not seen in a while). Focus on friends, family and conversation; not simply stuffing your face with food at the holiday buffet. Remember why you are at the gathering in the first place. Learn to take a deep breath and slow down. It is okay to say no to certain events if you are feeling drained and overworked. Finding balance, especially during the holiday season is important. Recognize when you are doing too much and be okay with cutting back. You do not have to be superman (or woman). Make choices that are energy inducing as opposed to energy draining. Be smart about your time and how you invest it. Ditch the all or nothing diet mentality. I always tell my clients to focus on progress instead of perfection as well as never compare themselves to others. So many people have “cheat” days then are excessively strict and deprive themselves. This causes them to overeat way too much when they “let themselves go.” I always hear “I am starting my diet tomorrow.” You should erase the term diet from your vocabulary. Just like any muscle, the more you practice consistent healthy habits the easier they will get. By implementing these tools you will be less stressed and have more energy to invest in activities you truly enjoy. *A cause that is very dear to my heart is the National Multiple Sclerosis Society. I have formed a team in honor of my grandmother, Dr. Lailee Bakhtiar, who passed away after a 21 year battle with the disease. You can learn more about my team here. Thanksgiving is a time for friends, family and memories to be made – not a time for feeling guilty about food choices or depriving yourself of certain foods. Below are my Turkey Time Tools so you can be healthy and enjoy yourself. My tips were also featured in Fox News Magazine. A huge mistake my clients tend to make is eating very little until the big meal. This is a recipe for disaster. Make sure you have a solid breakfast and lunch filled with a good combination of protein and healthy carbohydrates. When you starve yourself during the day in preparation for a huge meal your body has a much harder time acknowledging when you are actually full. You also will get much more intense cravings for sugary and carbohydrate heavy sweets. Ditch the all or nothing diet mentality. So many people have “cheat” days then are excessively strict and deprive themselves. This causes them to overeat way too much when they “let themselves go.” I always hear “I am starting my diet tomorrow.” You should erase the term diet from your vocabulary. Indulge in a balanced way; if you are craving a serving of stuffing have a portion but do not eat three servings. Do you notice how the first serving of an amazing food tastes the best? The food is not as good the second or third time around. Remember why you are at the Thanksgiving table in the first place. Thanksgiving is a time to give thanks and be grateful for the people you are surrounded by. Focus on friends, family and conversation. The dinner is only one part of the equation. Whether it is a morning jog, a brisk family hike or a football game do something to get your sweat on. Make time for physical activity even if it is a twenty minute fast walk around the block before dinner. Everything counts and something is better than nothing. Make it a friend and family event. Everything is better with a buddy. Get creative! So many people are closed-minded when it comes to healthy alternatives and ignore the idea before they even try it. I always teach my clients to find some healthy swaps that they can enjoy. Instead of marshmallows add Greek yogurt (with stevia) to the Yams. Spice up your dishes with cinnamon, garlic and nutmeg instead of extra butter and excessive oils. Spices are incredible; they are huge metabolism boosters, help curb cravings and increase post meal satisfaction levels. Not to mention transform the taste of dishes. Get your greens on! There is always a healthy basic side dish at Thanksgiving whether it is steamed green beans or roasted Brussels sprouts. Just make sure it is not soaked in extra butter or excessive oils. What about dessert? Easy breezy! If you are unable to bring a healthy dessert like my warm pumpkin cranberry parfait then simply indulge in a balanced way. Guess what? If you did fill up on protein you will 100% not crave the same amount of dessert you do normally. Take time to visit, play card games or watch a movie with the family. Always have an activity besides just eating dessert. If you have a love affair with pumpkin pie, have a slice, enjoy it and move on. I also am a huge dark chocolate fan! Check out two of my favorite “no brainer” Eat Yourself Gorgeous dark chocolate healthy desserts here. Have a plan for the day: what you are going to indulge in, what you are going to pass on and how you are going to get your sweat on. Everyone is different so it is really important to understand what your weakness is and be aware of it. If it is eating too much stuffing to avoid talking to that relative who you have nothing in common with or having one two many helpings of marshmallow yams. Remember to have compassion for yourself. Simply keep yourself in check and focus on the bigger picture of why you are together in the first place. Small consistent steps overtime is how lasting change occurs.